A burger is a classic dish, whether it’s for a Sunday supper or a backyard barbecue. Burger Night is the comprehensive yet easy-to-follow guide to great burgers. There’s something to please every burger lover: from meaty to vegetarian, classic to creative and simple to elaborate. Take your pick from beef, black bean, chicken, eggplant, falafel, lamb, or shrimp. Top it with a fried egg, stuff it with Gorgonzola, add bourbon BBQ sauce or serve it on a grilled baguette. Any way you want to prepare, top or serve it, a burger is delicious. While these burgers can stand alone in their glory, why should they have to? Enhance your dinner with side dishes like bistro fries, five-spice grilled sweet potato wedges and broccoli slaw. Loaded with shortcuts and tips these recipes can easily be adapted to fit a busy schedule. 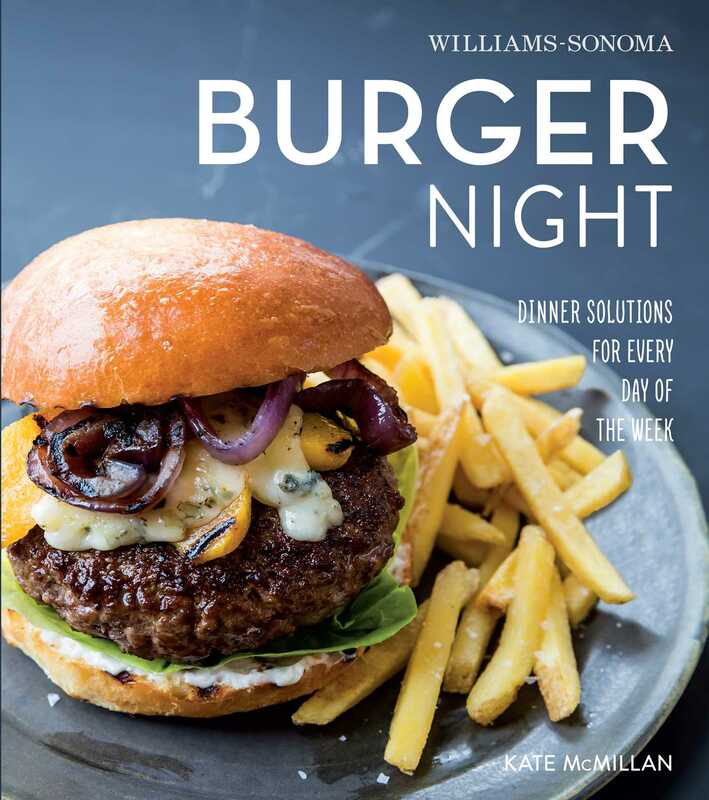 With over 60 recipes Burger Night is the engaging, customizable roadmap to a delicious dinner. In a frying pan over medium-high heat, fry the bacon until crispy, about 6 minutes. and grill, turning once, until medium-rare, 4 minutes per side. evenly. Close the burgers and serve right away.